Rewind the clock a few years and you’d frequently hear people suggesting that Facebook is a great marketing channel because it was free to have a presence. If you built a good Facebook page for your business and attracted lots of fans, you’d have a valuable platform to talk to potential and existing customers. But times have changed and Facebook are pulling in the reigns. Its advertisement algorithm continues to adapt as Facebook controls more of what users get to see in their news feeds. As a result, many brands have seen the organic reach of their pages decline rapidly. According to a study by ad agency Ogilvy the average reach for page content has fallen from around 16 percent in 2012 to around 6 percent in February 2014. This has led to some brands leaving the platform and Facebook responding with arguments that it’s all about relevancy and making Facebook the best it can be for its users. As a marketer, you might not like these changes. But let’s face it: Facebook is still the biggest social network by some margin, and it remains, for many businesses, an important marketing tool. The difference from a few years ago is nowadays, it’s pretty much a given that to reach people on Facebook, you need to supplement your page activity with paid advertising. 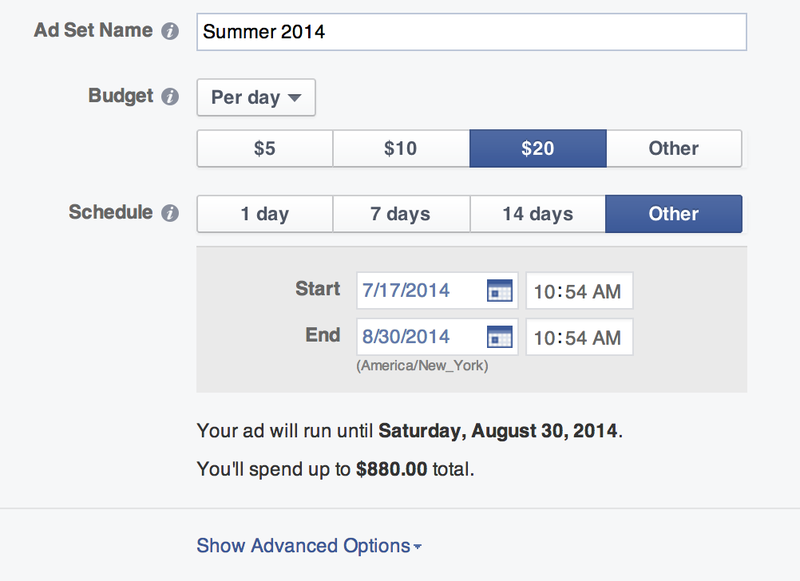 If you’re new to Facebook advertising, it can seem a bit complicated and confusing. Many smaller organizations who don’t have the advantage of help from an ad agency may never move beyond boosting posts via their page’s timeline. 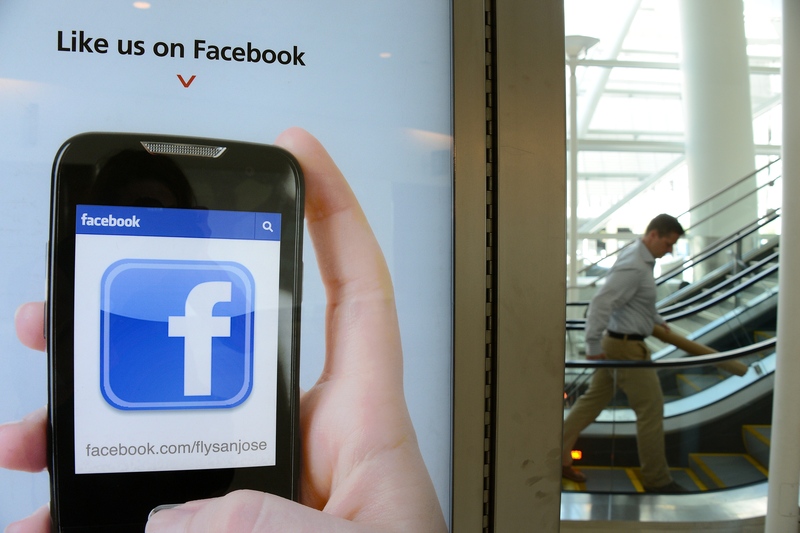 So what do you need to know about advertising effectively on Facebook? If you’ve ever boosted a post on Facebook then you’ll already have an advertising account set up. If you’re completely new to it, visit the advertising page to activate the tool. The standard dashboard where you create and monitor your ad campaigns is called the Ads Manager. There is also a tool called Power Editor, a browser plugin that gives you access to a few advanced features, making it easier to bulk edit ads. More on Power Editor on this guide. For beginners we’re going to focus on the standard interface. It’s worth mentioning that in February this year Facebook introduced a new three-level structure: Campaigns, Ad Sets and Ads. As you become more advanced with your Facebook advertising, this structure becomes more important and in Power Editor it’s much more built in to the ad creation process. 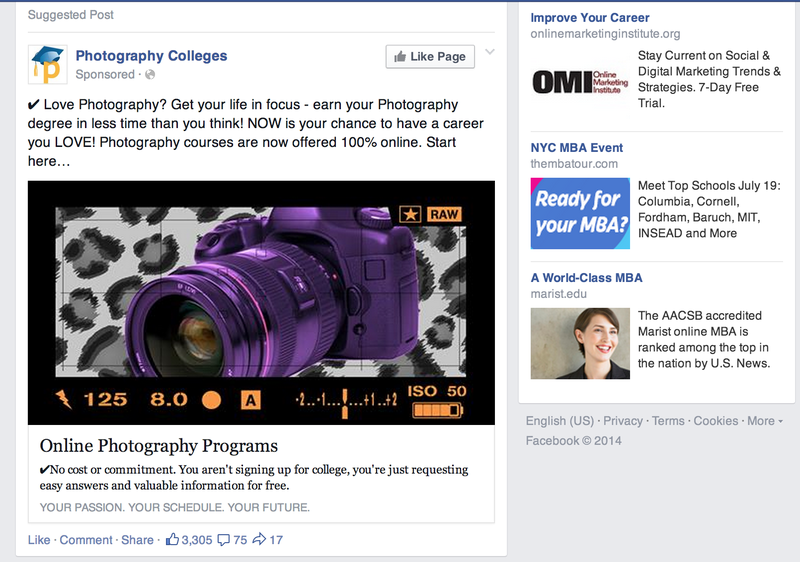 There are a few different types of Facebook ads so you need to set your goals appropriate. Do you want to drive traffic to your website? Get people to install an app? Or increase the number of likes to your page so that over time you have a larger Facebook community? The reality is that as part of your overall marketing plan, you may have several objectives and consequently many Facebook advertisers will run more than one type of ad. The names of the ads above are fairly self-explanatory. Website conversion ads for example, track the actions people take after viewing your ad, typically things like buying a product, registering for an event or viewing certain pages. For those, you need to create (via Facebook) a conversion-tracking pixel that you place on the relevant pages of your site. Ads appear in the News Feed on Facebook, both within the feed or on the right sidebar. On average, News Feed ads get more engagement and are a better option for the less experienced advertiser. Regardless of what type of ad you choose, in order to have ads show up in the news feed, you have to link it to a Facebook page. If you don’t have a Facebook page, you’ll only be able to place ads on the right-hand side of the News Feed. It’s a good idea to test different versions of your ads, changing the images and the copy to see how they perform. These details can make a huge difference to the success of the ad. Once you’ve created the ad, there are several different ways to target select audience. The ‘more demographics’ drop-down lets you target using additional descriptors, such as whether someone has children, is married or works in a particular industry. This is similar to the Interests strategy above. For example, if you wanted to target people who are interested in arts and culture in London, you could select Tate Modern and or the Southbank Centre. To do this, just enter the name of the company or brand, and if they have a Facebook page it should appear as a selectable item. 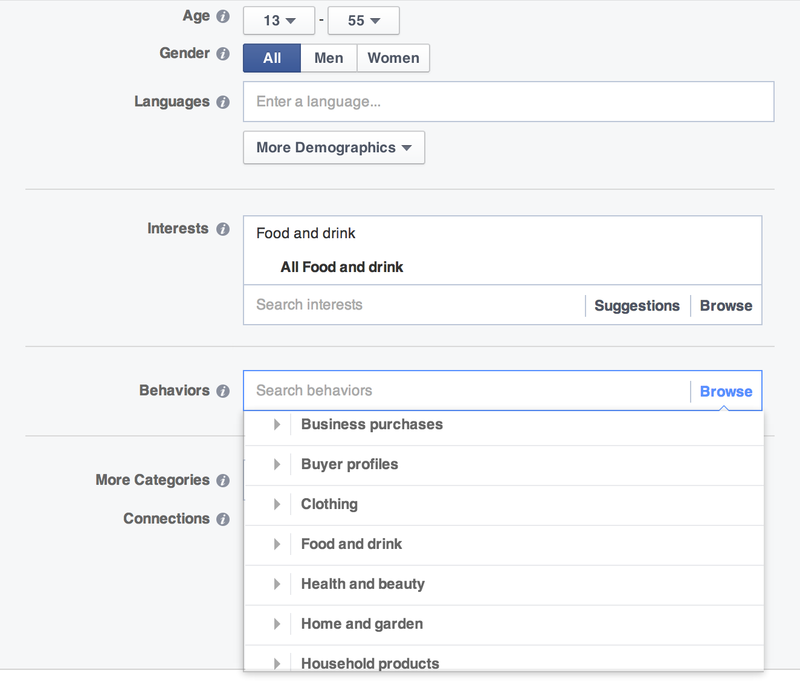 Your other options for finding relevant Facebook users to show your ads to are Custom Audiences and Lookalike Audiences. Custom Audiences lets you target your existing customers among people who are on Facebook. There are different ways to create Custom Audiences; for example, you can create one from your email newsletter list or by placing a tracking pixel on your website so that you can advertise to people who have already visited your site (and are therefore potentially already interested in your business). Once you have created your ad and selected your target audience, it’s time to specify your budget. There is no one-size-fits-all when it comes to how much to spend. Ideally, you should figure out what the value of your desired action will be i.e. how much is each new Facebook fan ‘worth’ to the business, or what are you willing to spend in order to increase visits to your site or conversions. If you’re starting out, it’s best to set aside a small budget and test different approaches. Once you feel more confident that your ads are proving to be effective, you can increase your spend. 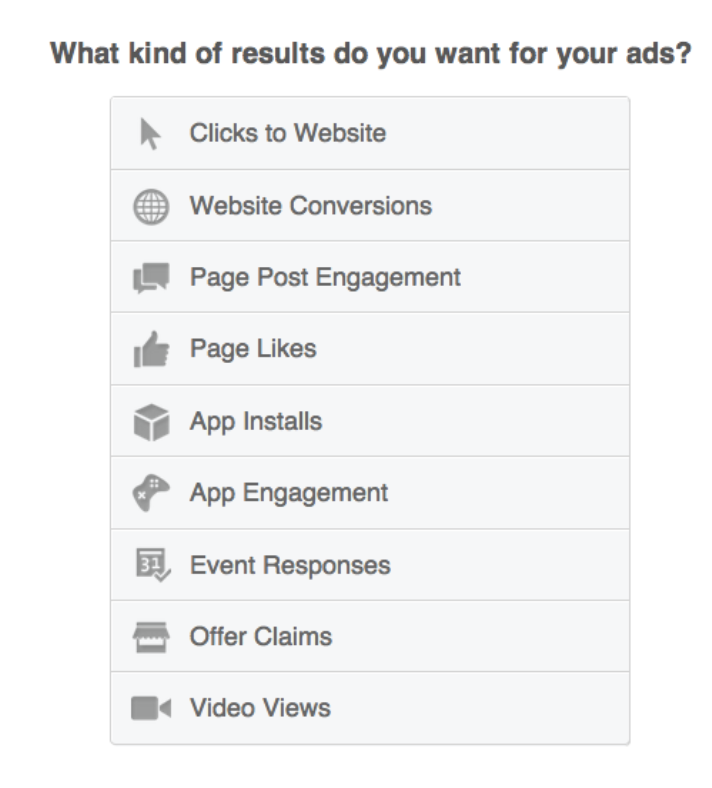 With most ads on Facebook, you have the option to pay per click or per impression (there are additional advanced options within these but that’s your main decision.) Which should you choose? A good starting point is to think about your overall objective. If you want people to click on a link to your website, it probably makes more sense to pay per click rather than impression. You can read more about the various options here. Once you’ve specified your budget and set your start and end dates (or left it to run continuously until you stop it), you’re all set. You can monitor the ads’ performance with the Ads Manager dashboard. Additionally, if you’re aiming to drive visits to your website, track your links using campaign tracking in Google Analytics for more insights. If you believe Facebook is a worthwhile place for your brand to be then getting to grips with advertising is vital to stand a chance of it working effectively as a marketing channel. Good luck!